On an atoll surrounded by white-sand beaches and coral reefs, this luxe resort is accessed by seaplane from Malé. Featuring thatched roofs and contemporary artwork, the ultrachic 1- and 2-bedroom villas provide living areas, dressing rooms and open-air bathrooms. 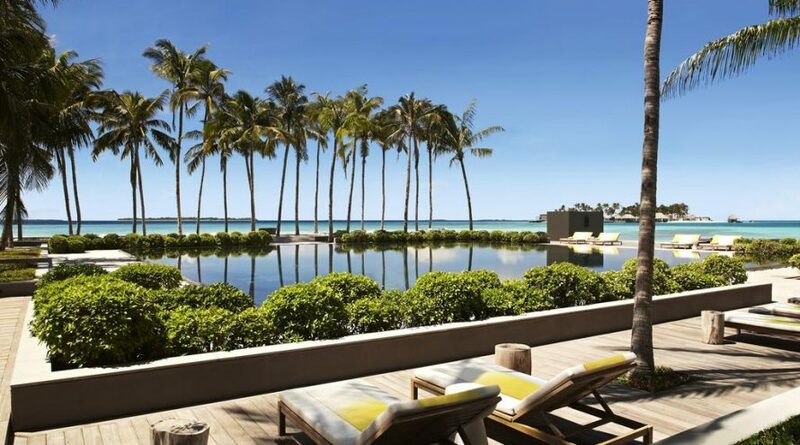 All have private garden terraces and outdoor infinity pools; some are set on stilts over the water. A lavish 4-bedroom villa on a private island comes with a bar, a grand piano and dedicated staff. In-villa dining is available. There are 5 trendy restaurants and 2 bars, along with tennis courts, a gym, a kids’ club and a waterfront spa. Water sports and local tours are offered.